Saari Ki Saari Lyrics: A special love song by Darshan Raval for this Valentine’s Day. 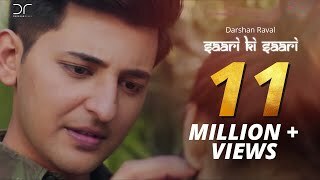 The song is sung and written by Darshan Raval and composed by Rahul Munjariya & Darshan Raval. “Saari Ki Saari” has a beautiful music video which tells love story, every soldier has in his life. It is directed by Vishwanath Chatterjee and features Darshan Raval, Shraddha Dangar, Amit Behl, Neetu Pandey and more.